You can look at a photo of someone from 10 years ago and think, “They’ve aged,” but if you saw that person every day, you wouldn’t be able to pinpoint the exact moment aging occurred. 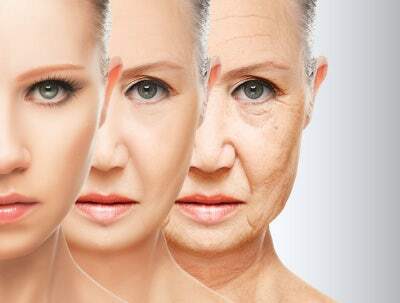 While we all know we’re getting older, the way we look can often come as a shock. Every day, internal and external factors contribute to the aging process without us realizing it is happening. This is why we often think that old age creeps up on us. Aging starts the moment we are born and doesn’t stop. The process is gradual, but cumulative damage results in wrinkles and loss of elasticity in our skin. Sunlight is the biggest cause of the visible signs of skin aging because UV rays damage our cells every day. To prevent this damage, apply a sunscreen every day. You can also repair the damage that has already been done with use of the Theraderm Skin Renewal System. Daily methodical use of the system actually halts and reverses the inflammatory response from UV exposure that day to effectively prolong the years before visible aging is seen. We all get older and no one can stop it, but that doesn’t mean we have to like the way aging looks. Keep checking The Skinny for more information about aging and advice on how to slow down the process.